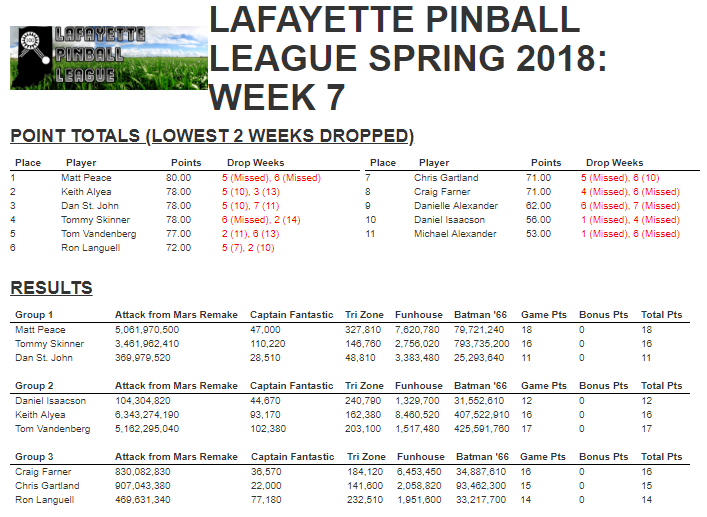 Week 7 Results and Standings! Here are the results from tonight and the standings heading into week 8 of league! It is neck and neck headed into the final week of the season. Here is a poll where you can choose what games we play in week 8!